Nothing says Christmas like a pine tree. I love the simple styling of this tree. 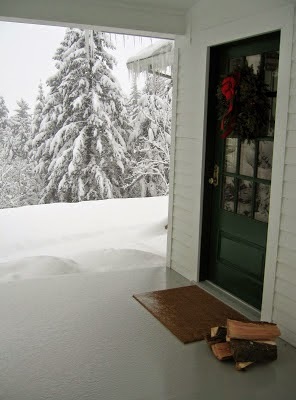 If you happen to live in a "winter wonderland", let the natural beauty of the snowy landscape be the focal point. This home kept things understated with a simple wreath and firewood. 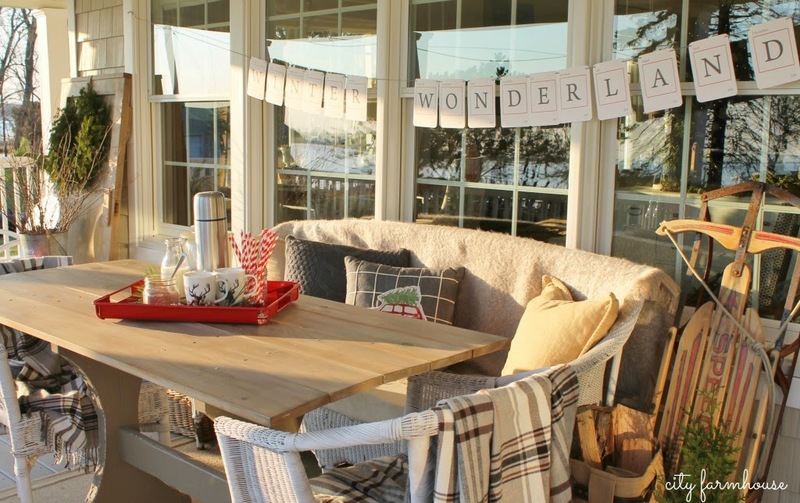 Blankets, pillows, and hot cocoa set the stage for cozy outdoor holiday entertaining. The DIY garland adds a nice finishing element to the space. 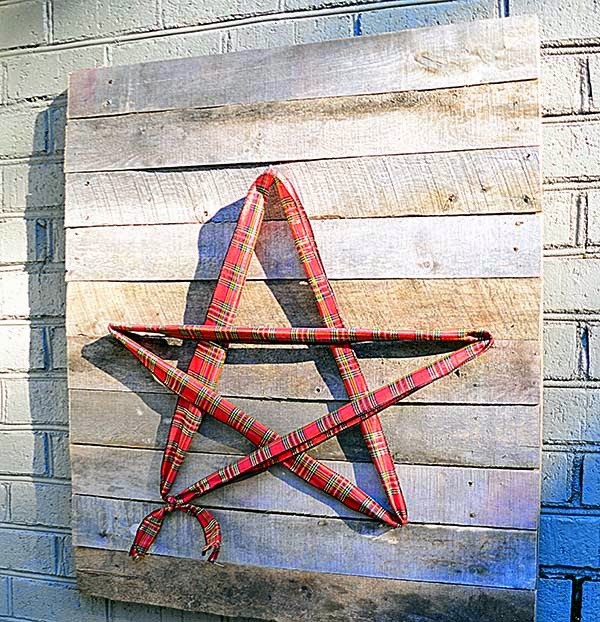 Take some decorative fabric or ribbon and let it be the "star". Such a clever idea. Good alternative for a wreath too. See more of this outdoor space here. You can't go wrong with a traditional garland and red and green color scheme. But it was the "sled wreath" and planter boxes that caught my eye in this entryway. 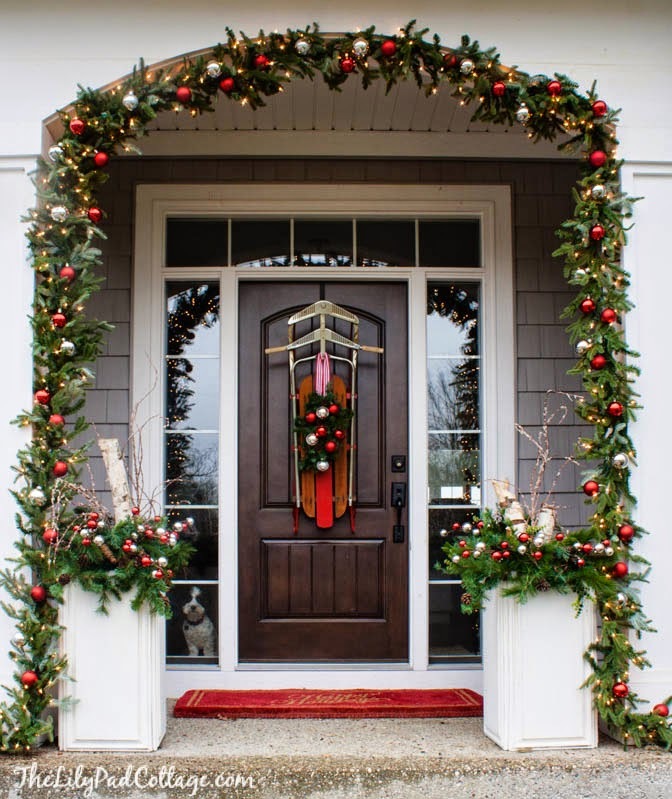 Click here for the beautiful holiday home tour. 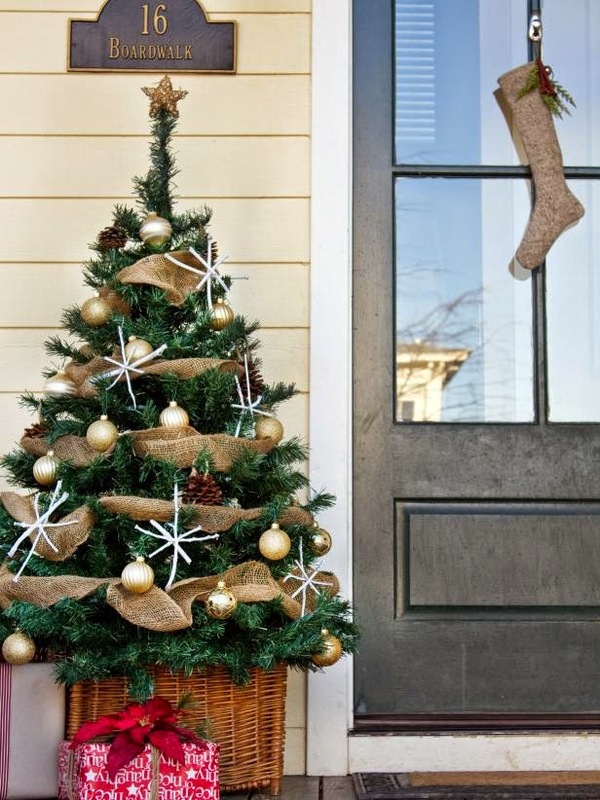 For more SIMPLE holiday decorating ideas, head on over to my Pinterest board. Don't forget, I'm sharing my holiday favorites for the home all month long too!